The hospitable fold of Acropolis View is steeped in the grandeur of yesterday and the comforts of today. The most remarkable monuments of the Ancient Greek Civilisation like the Acropolis rock with the magnificent Parthenon and the Erechtheion, the sacred site of Pnyx, the Odeon of Herodes Atticus (the ancient open-air theatre that hosts the most prestigious dance, music and theatre performances of summer), the contemporary Acropolis Museum, the Ancient Agora, the Temple of Olympian Zeus, the Panathenaic Stadium, the most magnificent sites of the capital are within a few minutes' walk from your hotel. Quite possibly the most wonderful promenade in history, still alive through dozens of monuments in the modern and vibrant city of Athens. Just 3 minutes separate you from the entrance to the Acropolis of Athens, the monument that represents the Classical Age. 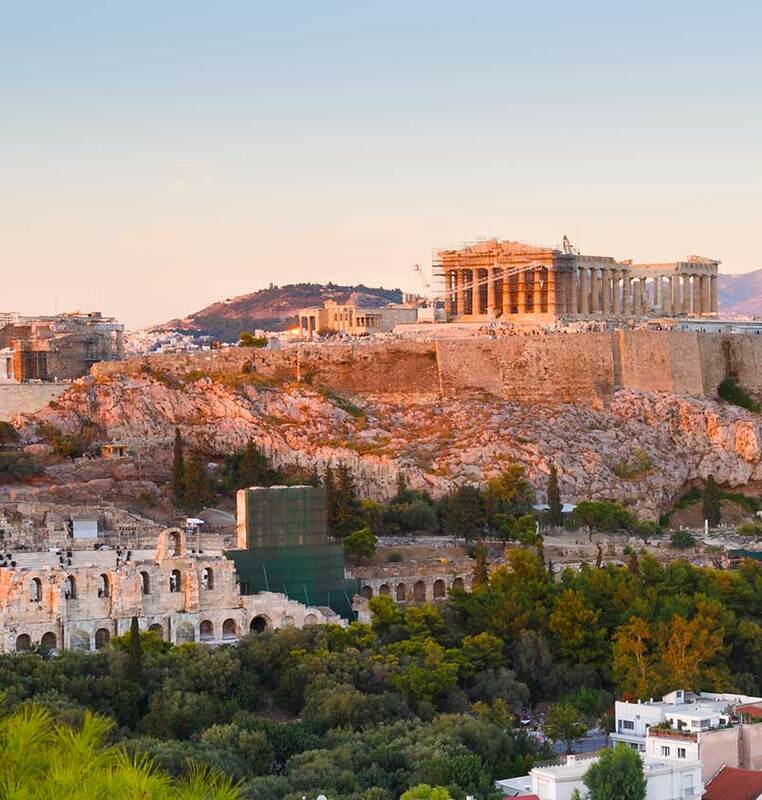 Wander in the sacred grounds, admire the Parthenon and the Erechtheion and take in the uninterrupted view to the city of Athens. 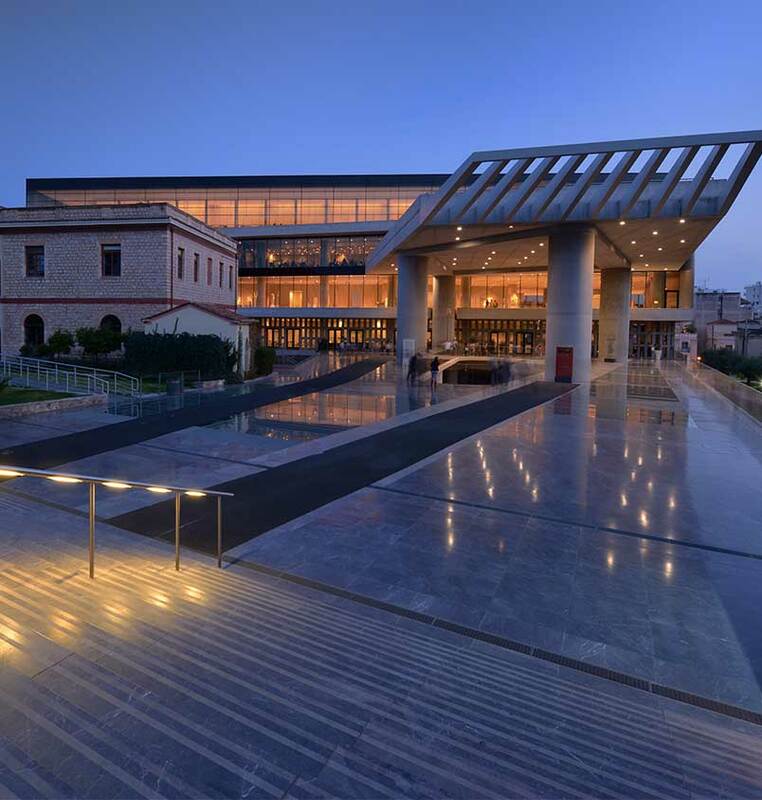 During your journey to history, don't leave out a visit to the best known museum of Athens, the Acropolis Museum, a 10 minute walk from our hotel. 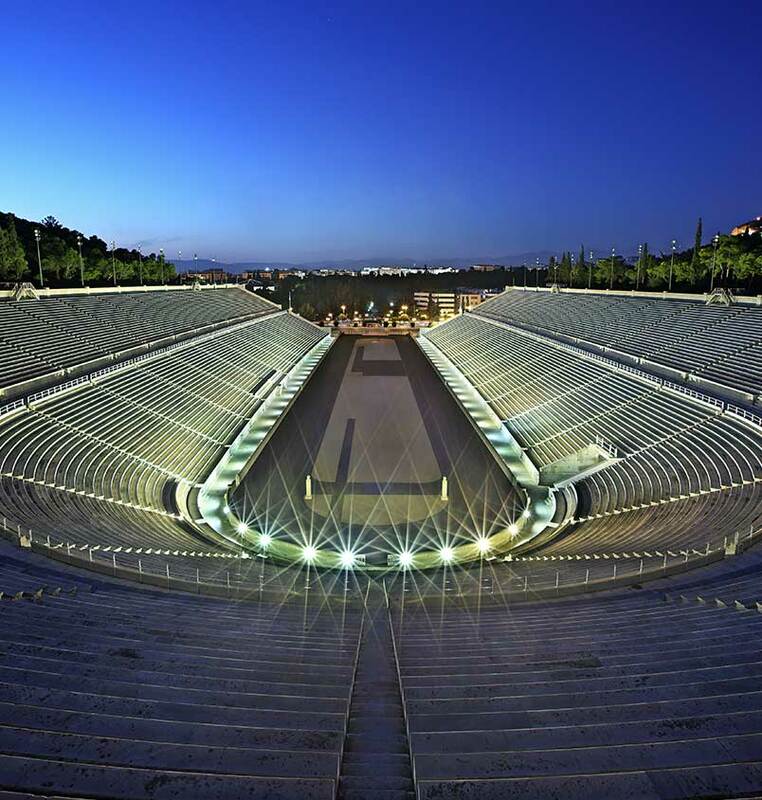 Laid out on the southern slope of the Acropolis rock, the theatre is dedicated to the drama arts. 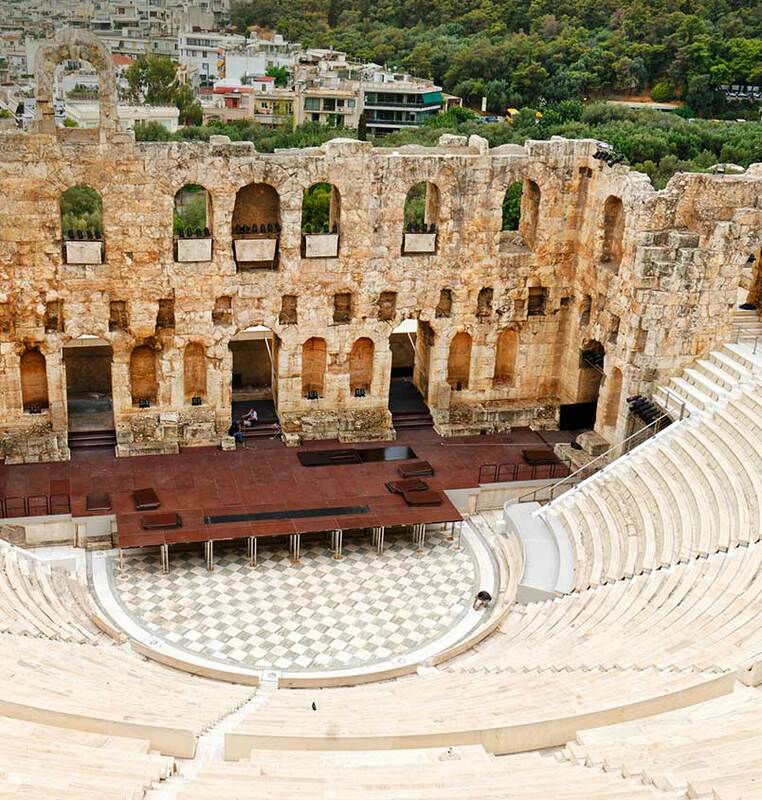 Herodes Atticus, a rich banker, commissioned the creation of an Odeon built on the rock with a 5,000 seat capacity in 161 AD, in memory of his wife Regilla. Restored, it is today the perfect scene for the Annual Music and Drama Summer Festival. 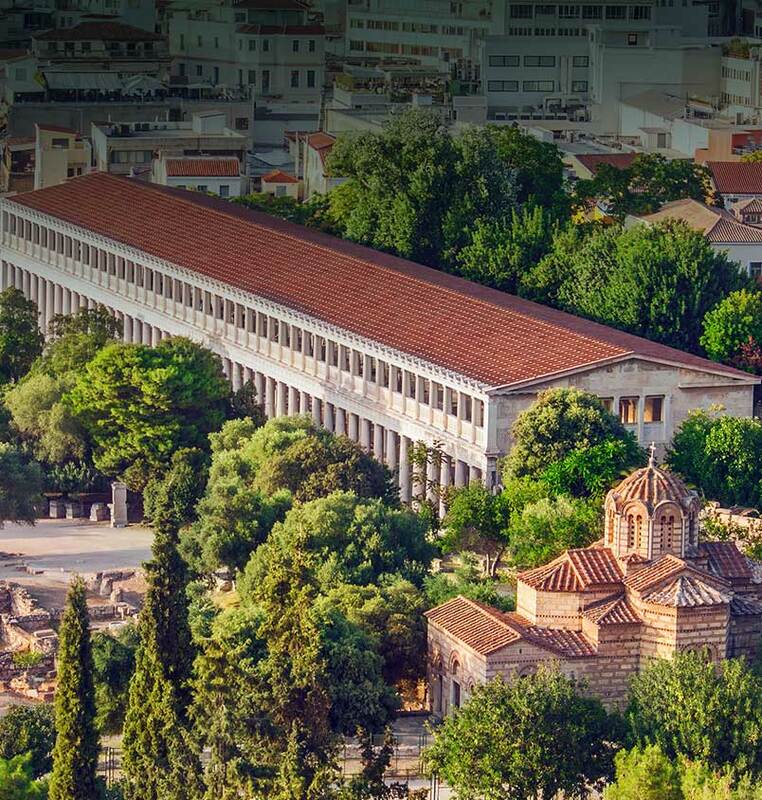 The Agora was the centre of public life in Athens. Its main characteristic was the arcades which served practical as well as decorative purposes. The Arcade (Stoa) of Attalos and the sculptures found there, are faithfully replicated in the Agora Museum. 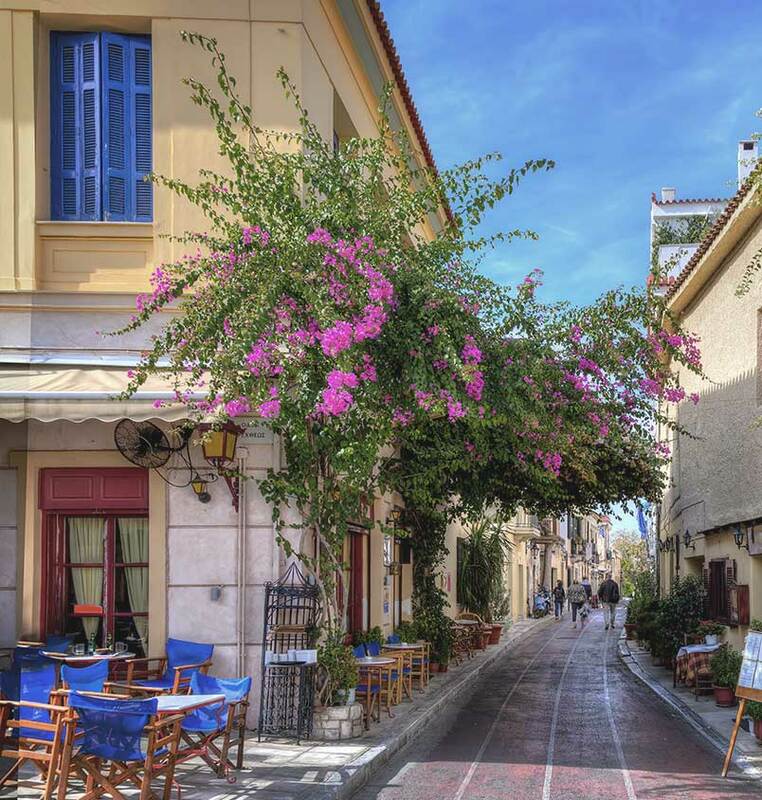 The tiny cobblestone streets of Plaka, the most scenic neighbourhood of Athens with the neoclassical houses, the dozens quaint cafés, the multitude of restaurants that serve traditional flavours, the abundance of shops, exude the ambiance of yesterday and the choices of today. The 70,000 seat stadium was built in a natural ravine of the pine-covered hill of Ardettos, in the 4th century BC by Lycourgos. It was covered with Pentelic Marble about 500 years later and it was restored in 1896 for the revival of the modern Olympic Games. Measuring 106 x 46 m, it is the biggest temple in Europe. 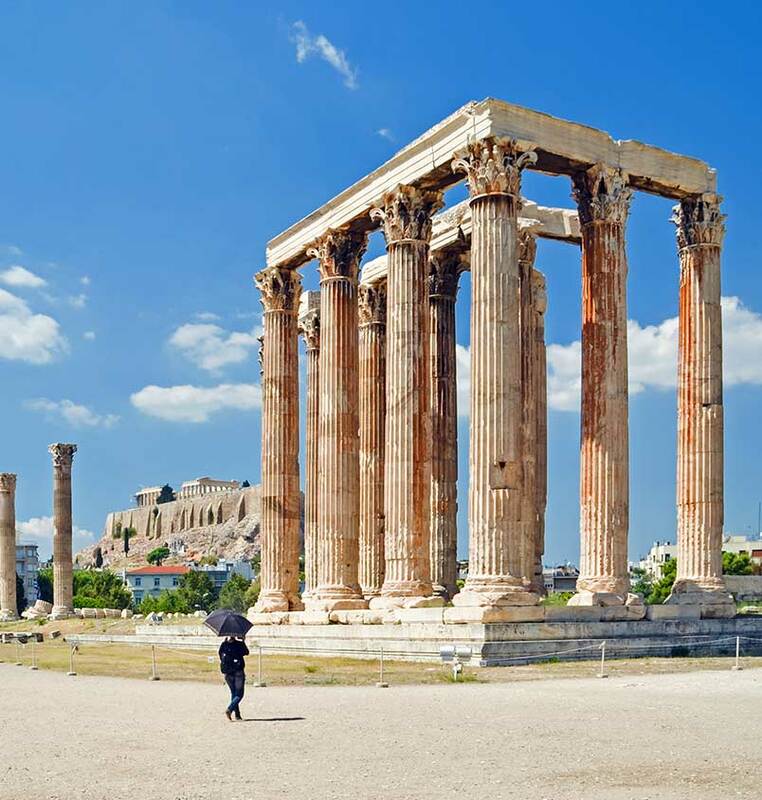 It was completed by Hadrian with 104 marble columns in Corinthian style, each 2.35 m in diameter and 364 tons in weight! 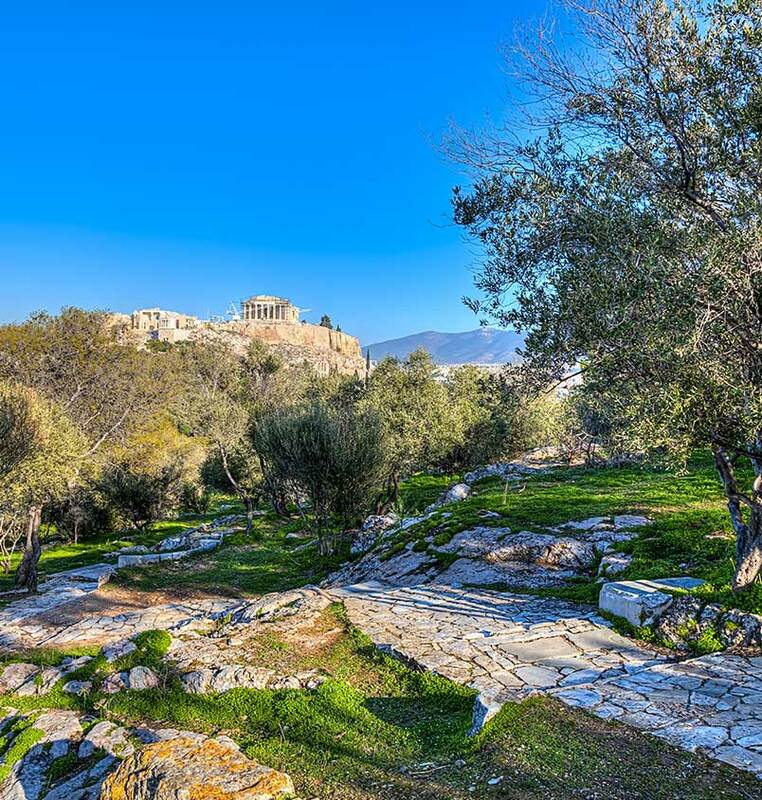 Walk up to Pnyx, the sacred rock of Athens, where Aristides, Pericles and Demosthenes orated and the Ekklesia (Popular Assembly) convened.